Last year our school participated in "The Great Kindness Challenge" by performing several acts of kindness to others in our school and community. Mrs. Kelly, our principal, challenged our school to perform 10,000 acts of kindness. Although we did not make our goal (we reached 9,156 total acts of kindness), it was a great learning experience filled with life lessons that hopefully our students will carry forward. Also, because of our school's participation in "The Great Kindness Challenge", we were acknowledged as a Kindness Certified School and received a certificate and seal for making a positive difference in our school, community and in our world. For the month of January, our school will be conducting a Food Drive. Students can bring non-perishable items throughout the month and drop them off at the library. All our food items will be donated to the new food pantry in town called, “We Can” that will open during the middle of the month. The class that brings the most items will be featured on our school website and receive a fun day during their library class. Baggs Elementary is focusing on kindness during January and we are excited to impact our community by thinking of others. Thank you in advance for your support and generosity! Stay informed with what is happening in our school. Download the Free SchoolWay App. It is available for download on the App Store, Google Play other devices on Web App. All you need is our Baggs WayCode (9defrh) and you will start getting Push Notifications once you have subscribed to Baggs School. Has your student talked about the "Walking Club"? Mr. Cordell, our PE teacher, has started this activity for our students this year. Movement and exercise is so important to a child's health and mind that we are making it a priority out at recess that all students are moving in one way or another. If a student isn't playing another game or doesn't want to play on the equipment, they can do Walking Club for recess instead of just standing or sitting around. Each student is having a laminated card made for them. They can take this out to recess and walk on a certain path that has been designated by Mr. Cordell on the playground. Their cards will be scanned to keep track of the number of miles they walk. The more miles they walk the more rewards they will get! School lunch menus, school lunch payment options, free and reduced meal applications, nutrition education and fitness information. NEW! Free Mobile Menu App "Web Menu" is available in the App Store. Did you know we serve Breakfast? Our Cafeteria is open 8:00 am everyday for all students. 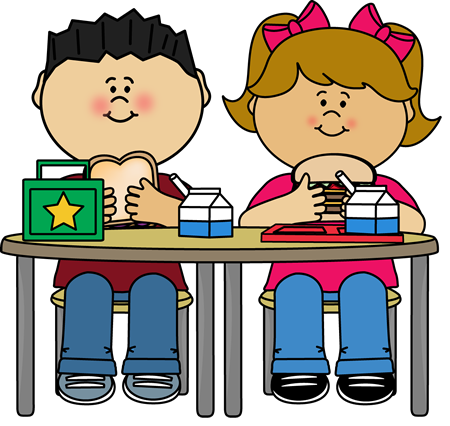 If your child has an appointment in the morning or is running late, please call the school at: (307) 772-2385, so that we can order a lunch for them. Any student that checks in after 9:00, that has not called in to give us their lunch choice, will be given Entree #1. Are your students missing any coats, hats, lunch boxes or other items? Check out our lost and found box located outside the library. Lost items such as jewelry, phones or glasses will be held in the office. Keep saving and sending in Box Tops for Education to support Baggs. It's that time of year when our weather is constantly changing. Our kiddos attend recess outside on a daily basis and If you are dropping your students off in the morning, our doors do not open until 7:50 am. Please send your students to school with weather appropriate clothing as we want to keep them protected against Wyoming's weather. Laramie County School District 1 does not discriminate on the basis of race, color, gender, religion, national origin, disability or age in admission or access to, or treatment, or employment in, its educational programs or activities. For more details, please follow the “non-discrimination" link in the district resources block on the main web page. Inquiries concerning adults, may be referred to the LCSD1 Assistant Superintendent of Human Resources located in the LCSD1 Administration Building at 2810 House Ave., Cheyenne, WY 82001, or phone 307-771-2160. Inquiries concerning students and any Section 504 concerns may be referred to the LCSD1 Assistant Director of Special Services located in the LCSD1 Administration Building at 2810 House Ave., Cheyenne, WY 82001, or phone 307-771-2174. We continually strive towards compliance with LCSD1 Non-Discrimination Policies, Web Content Accessibility Guidelines (WCAG), Americans with Disabilities Act, World Wide Web Consortium (W3C), as well as Section 508 policy regarding web accessibility. LCSD1 is committed to providing accessibility to all users, and we will continue to make improvements to our website to ensure that it meets the requirements of these laws and standards. If assistance is needed in accessing material on any of the LCSD1 websites, please contact our Service Desk at 307-771-2242. The State of Wyoming provides Hathaway Merit and Needs-based Scholarships to Wyoming students attending the University of Wyoming and Wyoming Community Colleges. Every student who meets the merit requirements can earn a Hathaway Merit Scholarship. Contact your school counselor for more information.